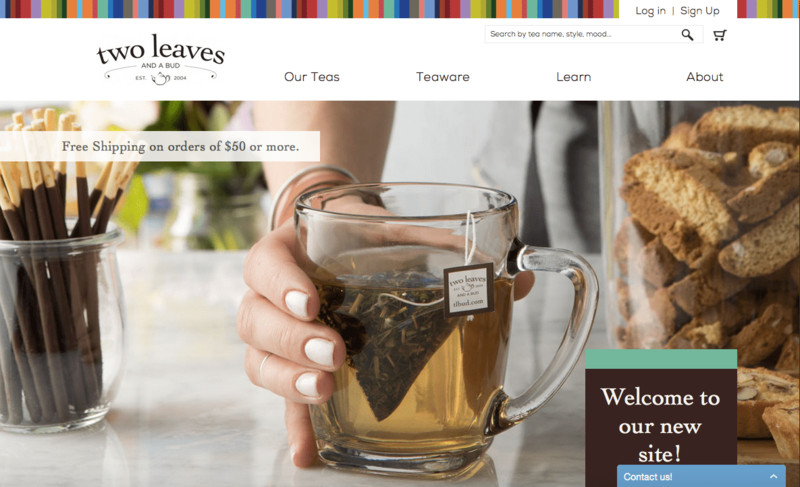 We've remodeled our online store, tea lovers, and we think you're gonna want to take a look around! Not only do we have gorgeous new photography, but we've made it easier to find what you're looking for, whether that be your favorite, tried and true sachets of Organic Assam, or the perfect travel mug for steeping loose tea leaves on the go. Boom -- we're spelling it all out for ya. 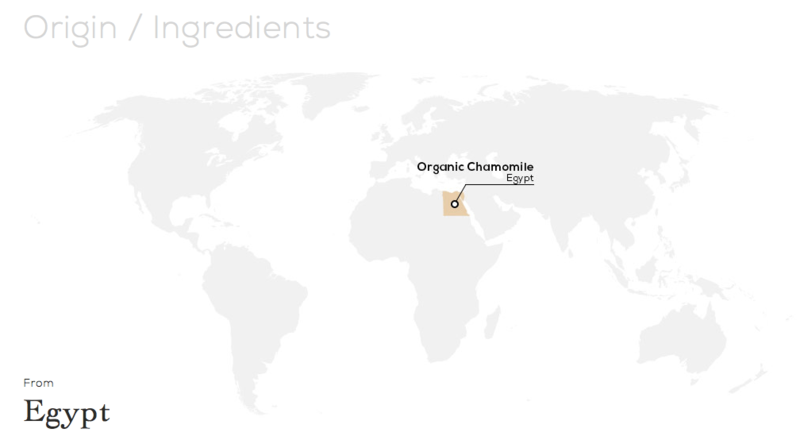 Our Organic Chamomile is from Egypt! This is an herbal tea that's available loose, doesn't contain caffeine, is a customer favorite and is currently on sale! We've also got easy-to-find spots where you can learn more about our company, general tea info, and a brewing guide. Would you believe we have 399 different products on the site to check out? It's a tea lover's dream come true, and we just want to make sure you can glide through the aisles of our online store happily, perhaps at 1 a.m. in your pajamas (shopping online is the best). Tell us if you like it, because trust us -- it isn't easy to keep getting more and more awesome. Cheers! Here at Two Leaves and a Bud we don't exactly believe that the Fourth of July is all about lighting things on fire and watching them explode in the air, after all, here in the mountains of Colorado we're smack in the middle of wildfire country. But. Then we heard about the Flying Tea Rocket experiment, and realized the day when Americans celebrate our country's birthday with fireworks was on the horizon and ... we work at a tea company and ... well, we'll stop trying to justify our behavior, and just show you the video. Anyway, we got the idea for this nifty party trick at Steve Spangler Science, where you can get the directions and the scientific reason for why it works, and we'll give you the usual disclaimer about being careful when you light anything on fire inside. (Ahem. What we did was wait until our boss was out of town, and then used his office.) You also might wonder why a tea company that specializes in pyramid-shaped sachets be so excited about something you can do with a traditional paper teabag, and to that we say: Have you met our Organic Paisley Label Tea line, featuring a finer cut of tea in traditional paper teabags that are great for science experiments? (That last part is not a typical selling point when we pitch people Paisley Label Tea.) But they come in a number of delicious flavors, are less expensive than our other teas. Even so, if it still pains you to dump out tea in order to try this for yourself, we'd recommend buying a dirt cheap tea for this purpose ... which is something we never recommend. And we're not gonna name names, but there's plenty of dirt cheap tea out there. 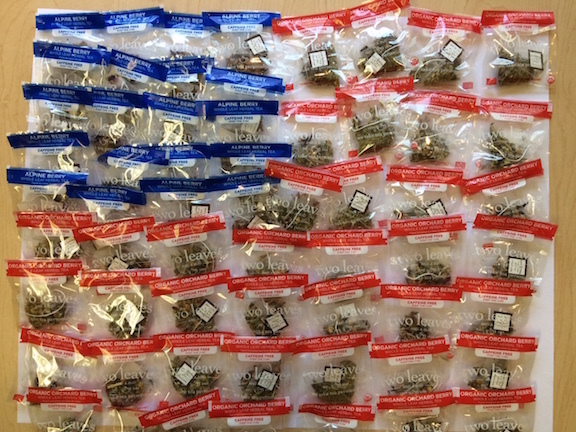 Happy Independence Day, tea lovers! "Tea is as easy as boiling water," they say. "Just add boiling water to the tea and let it steep." "Meh," you say. "I don't like green tea because it often tastes bitter." "Ah," they say. "Sounds like your water was too hot." "... I thought this was supposed to be easy?" you say. What kind of tea will you be preparing? With practice, you'll be able to tell what temperature the water is based on the sound your tea kettle makes ... and a rule of thumb: When it doubt, err on the side of cooler. Some specialty teas, like a lovely first flush Darjeeling, may be considered more delicate than your typical black tea, and you wouldn't want to stew those teas either. 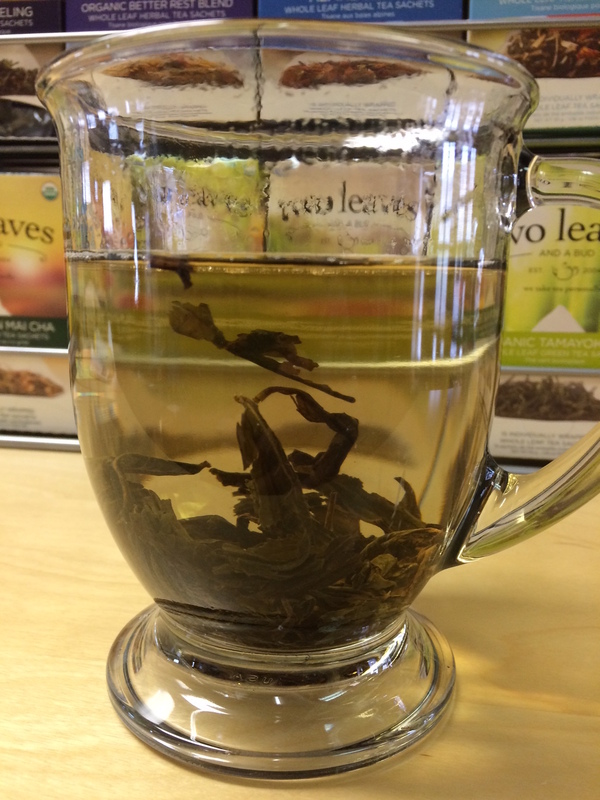 Our loose Da Hong Pao Oolong is the perfect large-leaf tea to let float in a cup, filter-free. Did you know that the invention of the tea bag was an accident? It's true. Tea bags, as we currently know them, were created around 1903 by a tea merchant named Thomas Sullivan in New York. Sullivan was just looking for a simple way to ship his tea to consumers, so he placed loose tea in small bags, thinking that tea drinkers would remove the tea from those little bags before brewing. Instead, people just found it easier to pop the porous bags into hot water, using them as a makeshift filter. Those tea drinkers were on to something — preparing tea from a tea bag is really convenient ... so much so that decades later people who wanted high quality, whole leaf tea with all the convenience of a teabag created tetrahedron-shaped sachets (before you Google that, we'll tell you that it's just a fancy word for a three-dimensional pyramid). These sachets, just like ours, can be filled with whole leaf tea and give those large leaves more room to expand when steeped in hot water, resulting in a fuller, more nuanced cuppa'. But we have a quick question for you: Are you interested ditching the tea bags and the tea sachets and having a true cup of loose tea? Plenty of tea lovers swear by loose tea, and claim that it's the only way to get the most flavor out of the tea leaves. We don't disagree with that — although perhaps your palate won't detect a difference one way or another — but we must admit, there's a bit of an intimidation factor with loose tea leaves: so many uncertainties about how much tea to use, how many accessories are needed for brewing, how much time to let the leaves steep, if the whole affair is going to leave a big drippy mess on your counter tops ... and on and on. 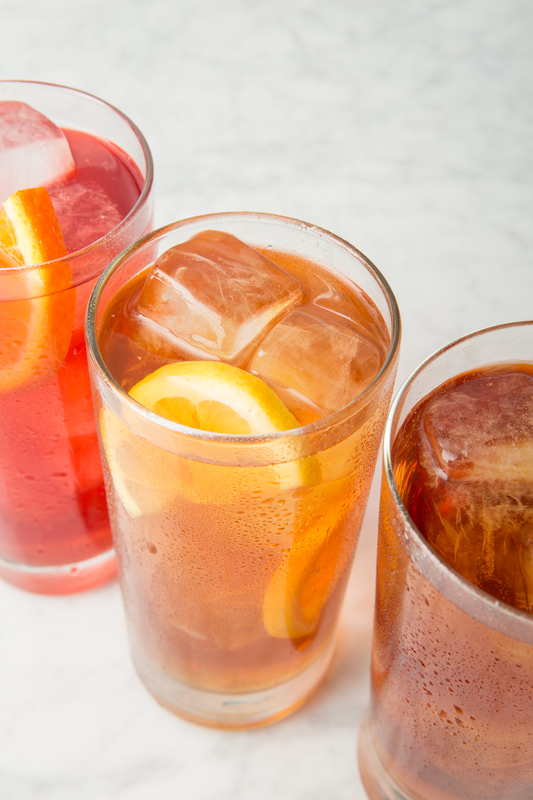 So we're going to give you a solid piece of advice about loose tea: It doesn't have to be that difficult! For starters, if all you have is a nice pile of loose tea, hot water and a mug, why not just pour the hot water over those leaves and let the leaves steep in the bottom of your cup while you continue to drink it? This is a popular way to drink tea in China, and works best with the largest tea leaves. Some of the leaves will continue to float in your mug until they're fully saturated, so just blow them away when you're about to take a sip, and eventually they'll sink. And here's the fun part — discovering how the flavor of that tea changes as you continue to re-steep the leaves. Which of the washes do you like the most? The second, when the tea may be slightly astringent, or the fourth, when it might become smooth and extremely subtle? Watching the leaves expand is also fascinating, and depending on what tea you've chosen to steep, you might find your cup full of the in-tact "two leaves and a bud" of tea that we named our company after. Forget about the fancy accoutrement of loose tea — you don't have to invest in any (scales, filter baskets, a tea pot), until you're ready to. Try using one teaspoon of loose tea per mug, and then up that accordingly, if your taste buds want to punch it up. Then, when you're really addicted to loose tea, there are about a million different little accessories out there to delight you ... travel mugs, French presses (just like coffee! ), fancy contraptions, and all that. For now, free the tea!